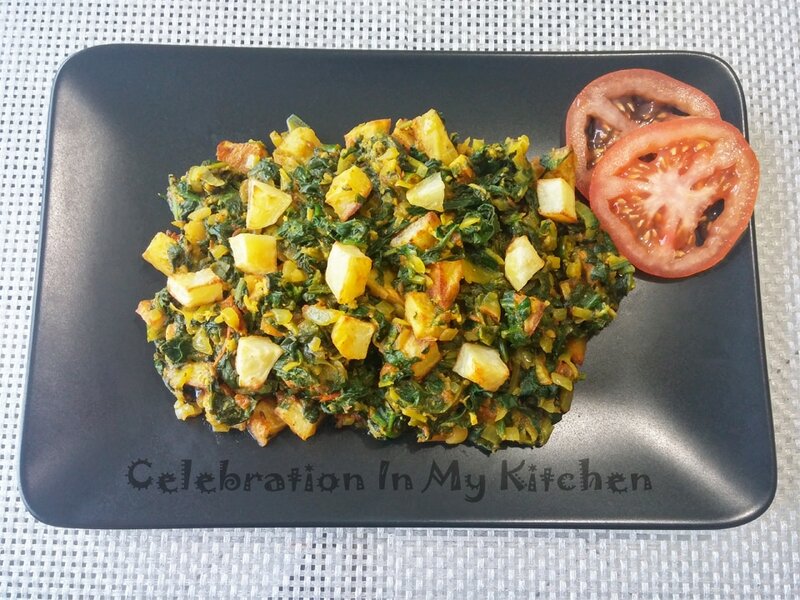 Here is my twist on the popular aloo palak. 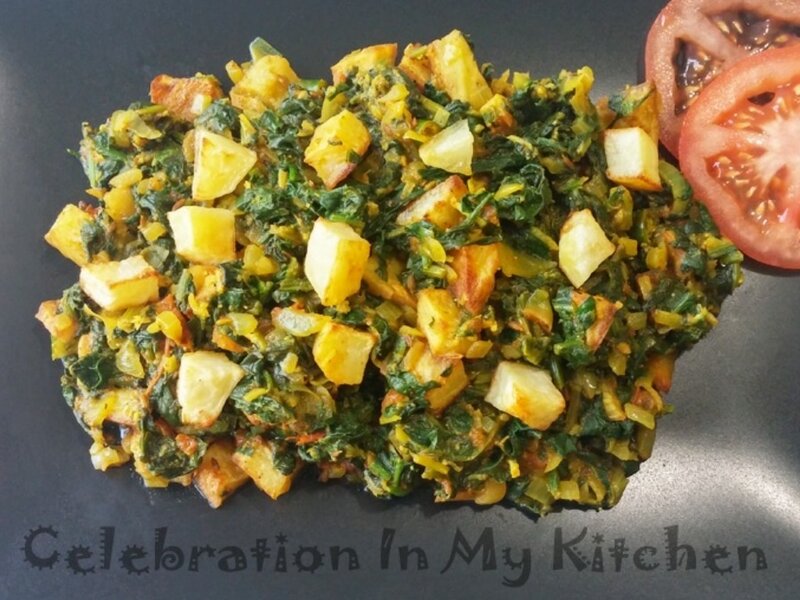 The potatoes are baked in a preheated oven at 400 F or 200 C and tossed in at the end with the wilted spinach. A perfect combo that is enhanced with spices, taste delicious together, creating a substantial dish. 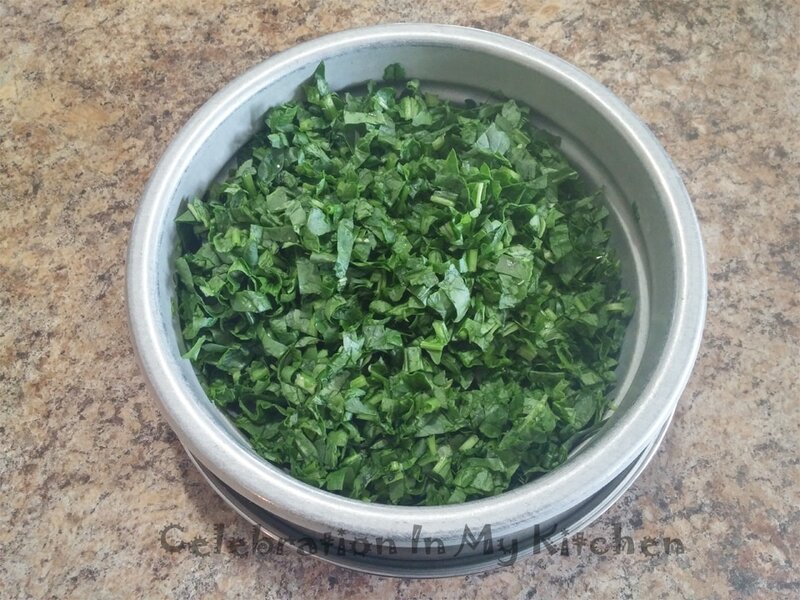 Served as a side and enjoyed with roti or rice. Potatoes are versatile and pair beautifully with any vegetables or meats. Whether boiled, baked, grilled or fried, they are delectable on their own with a dash of oil and salt, even tastier spiced. Rich in carbohydrates, fibre, minerals and vitamins. Presence of a small amount of vitamin A in potatoes maintains eye health and vision. 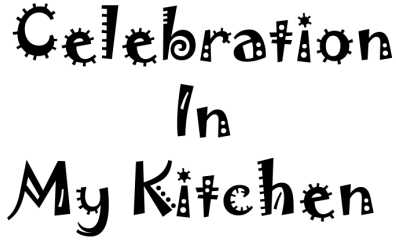 Overall, they are filled with nutrients and promote good health. Spinach is an excellent source of valuable nutrients. Low in calories, high in vitamins including dietary fibre, calcium and protein. Controls blood sugar and blood pressure. Prevents cancer and asthma. Improves bone health and digestion. Beneficial for the skin and hair. Heart healthy and loaded with iron. 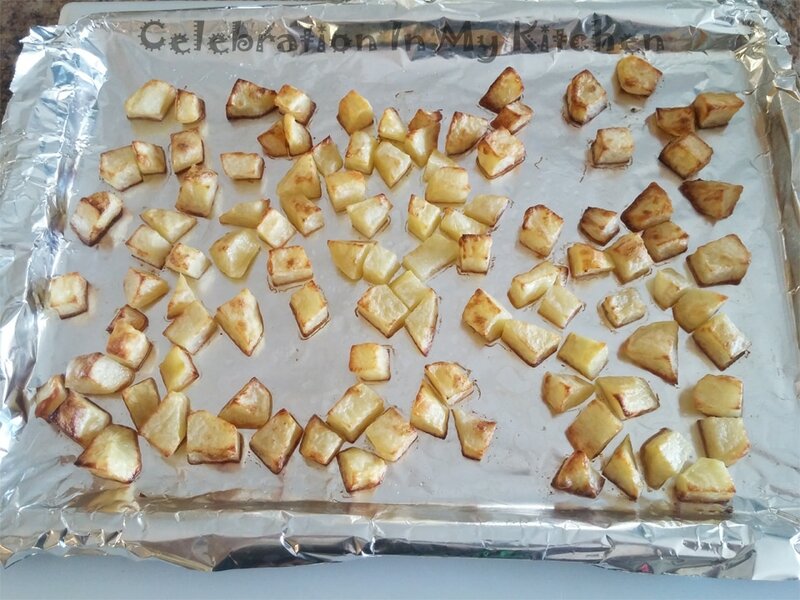 Peel and cut potatoes into small cubes. Wash, drain well and season with salt. Coat each piece with extra-virgin olive oil. Line a baking tray with aluminum foil and lightly grease with oil. Spread the potatoes and bake for 20 minutes until tender and cooked. Set aside. 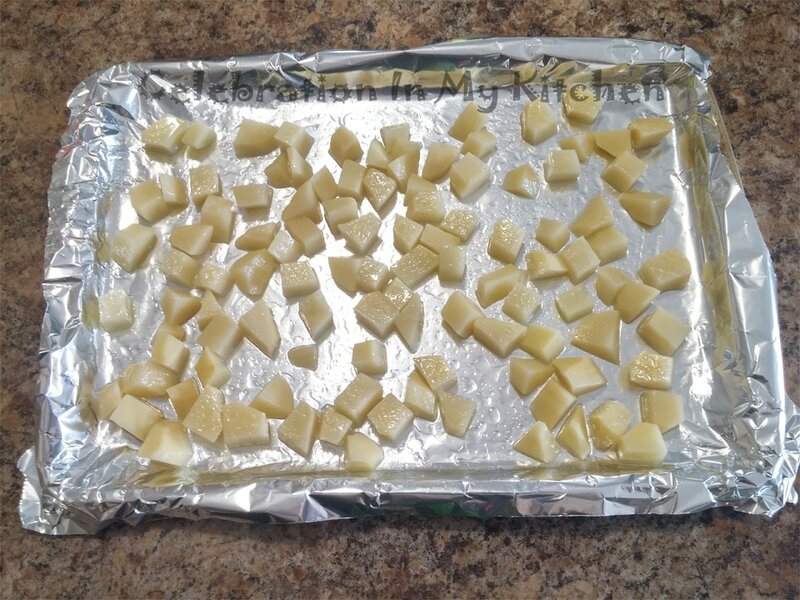 Let potatoes cool for quick release if stuck to the foil. 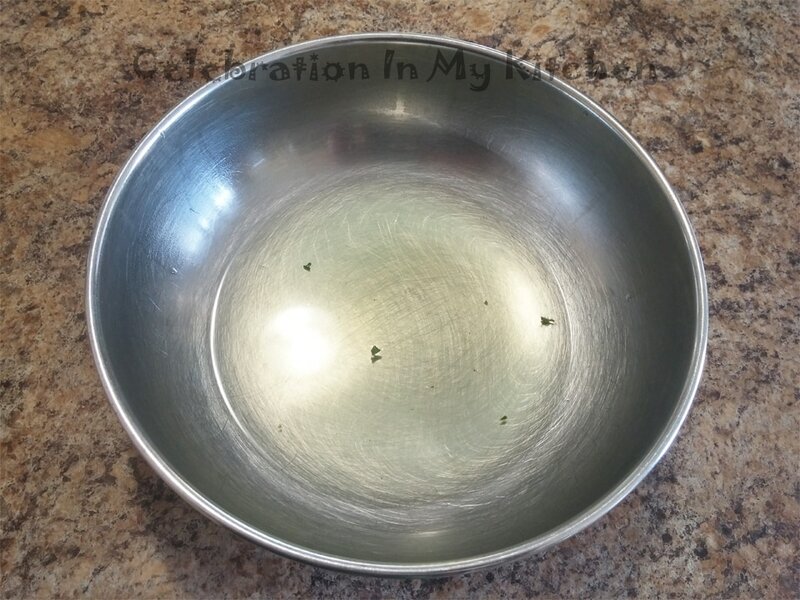 Cut, wash spinach in a colander and drain spinach well, set over a bowl (see water drained out in the bowl - picture above). 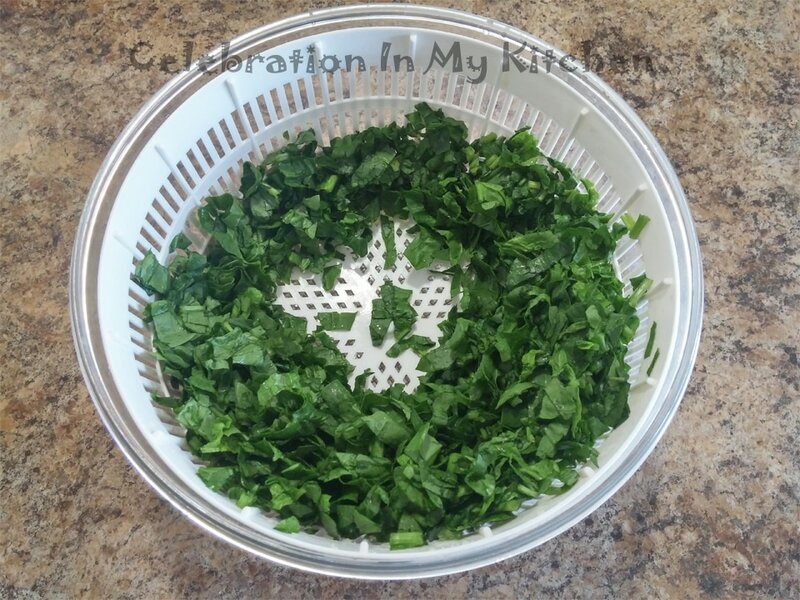 Transfer spinach in a salad spinner and get rid of any excess water (picture above). Heat oil in a pan and add cumin seeds, then onion, fry until translucent. Stir in the garlic, ginger and green chillies. Mix in the tomato, turmeric powder, cumin powder and coriander powder. Cook till well blended and tomato soft. Add the spinach and let it wilt uncovered for a couple of minutes to retain the bright green colour. Toss in the baked potatoes, sprinkle garam masala powder and salt. 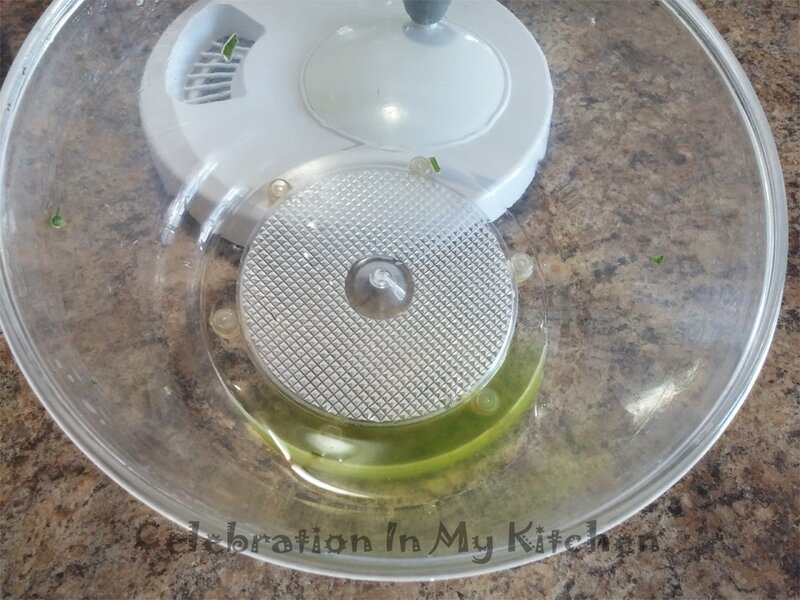 Getting rid of most of the moisture using a salad spinner helps in eliminating overcooking of the vegetable.